"Steven C. Kemp’s interior setting was extraordinary in its realism, with its double flight of stairs and on stage mill wheel, and was again beautifully lit with the lighting plots of Ken Yunker. As always, costumes by Howard Tsvi Kaplan and wigs and make up by Brittany Rapise were appropriate and well done." 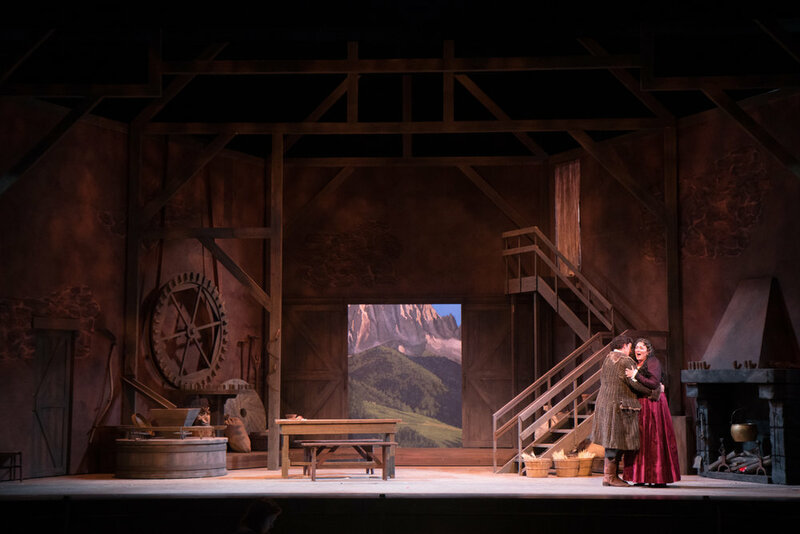 "I must be personal about this: I’ve been in the opera world for some 60 years now, in all sorts of capacities, and I can’t remember when I’ve been so pleased, moved and excited as I was last Saturday at the opening performance of 'Tiefland.' 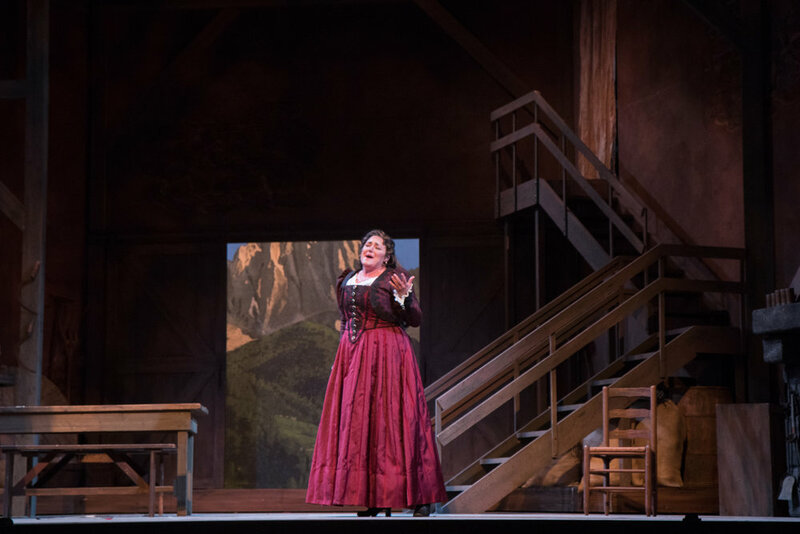 "
"Sarasota Opera unveiled a rarely seen work of human drama with sordid details, menace, loathing and the redemption of true love all supported by a musical score of arresting beauty and a cast of strong voice actors. 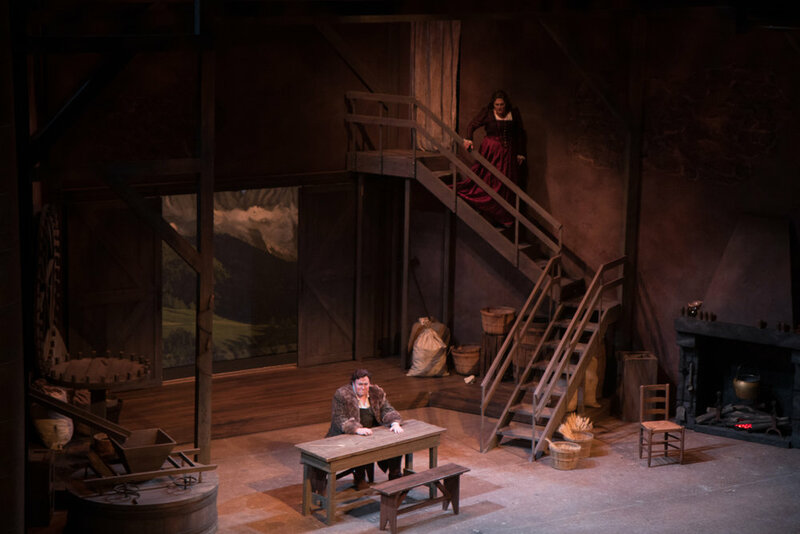 The Prologue in the mountains under stars with a simple, yet eye-catching scenic design and lighting"